Here is a staple salad that can be made all year round – given you grow the kale yourself. As any hardy vegetable (see Cabbage Cranberry Salad), kale becomes soft and palatable when massaged with a bit of natural salt, lemon juice and oil. This will make an instant dressing. For a more creamy version just massage the avocado with the kale from the start. 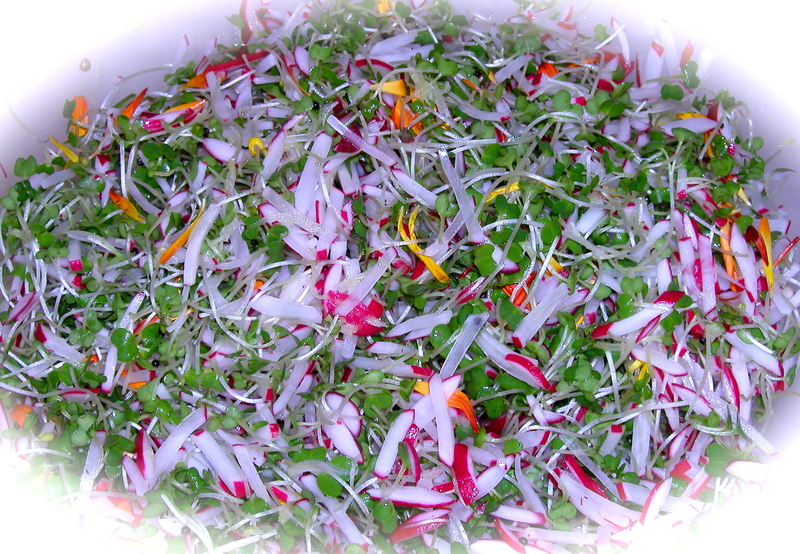 The more colourful ingredients you can use the more alive your final salad will look. Fresh corn, orange bell peppers, sprouts, olives, heritage tomatoes, red radishes, etc. Destem the kale. Cut the kale into thin strips (chiffonade). Neglecting the avocado cubes, tomatoes and parsley, put all the other ingredients into a big mixing bowl and massage well by using your hands in order to soften the kale. Add the avocado cubes and parsley and toss well with your hands. Fill a bowl with an abundant amount of massaged kale and form a little mold in the centre. Place 2 T diced tomato in the centre mold and sprinkle yellow bell pepper confetti around it. Serve with crackers or focaccio bread. *Sundried Tomato Powder can be made by dehydrating organic (the dark ones, without sulphites) sundried tomatoes and then grind them in a high speed blender. Keep the powder in a jar in your pantry as a savoury condiment for other salads. Variations: Play with whatever is in season. You can virtually vary any of the other ingredients. Just remember, to soften kale or hardy vegetables by massaging you will need some natural salt. Acid (from citrus or vinegar) and fat will help to soften the vegetables and distribute the flavours. Interesting combinations for kale can be created with orange juice, cucumbers, raisins, pine nuts etc. 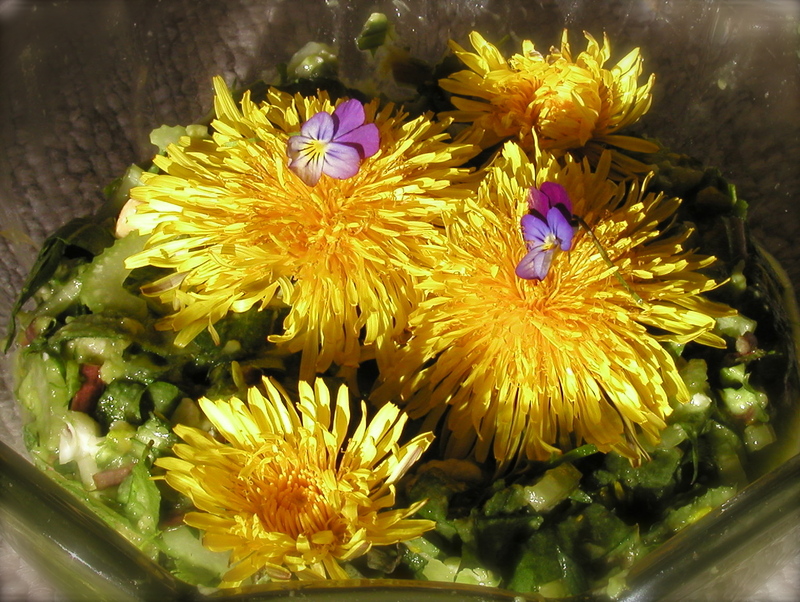 Edible wildflowers make great garnish! 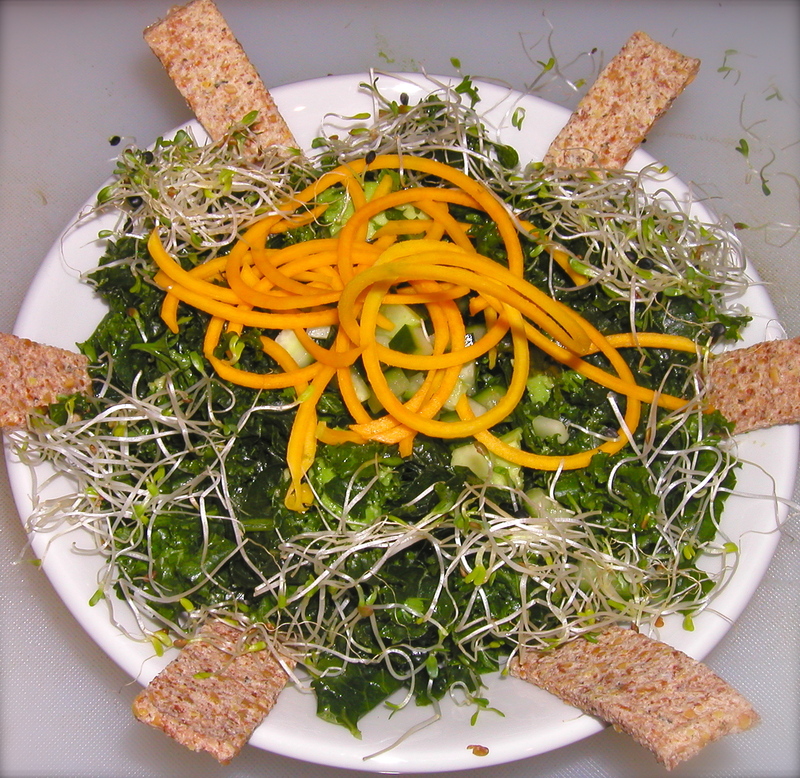 Eat the salad either from a bowl or roll a portion into a lettuce leave or quarter sushi Nori sheet. 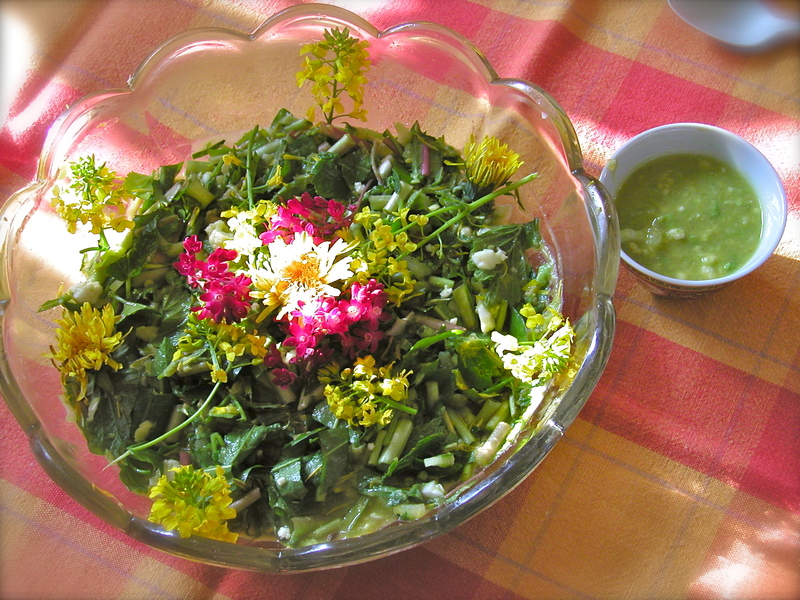 Ultimate Salads and Magnificent Dressings – Get creative with your salads! 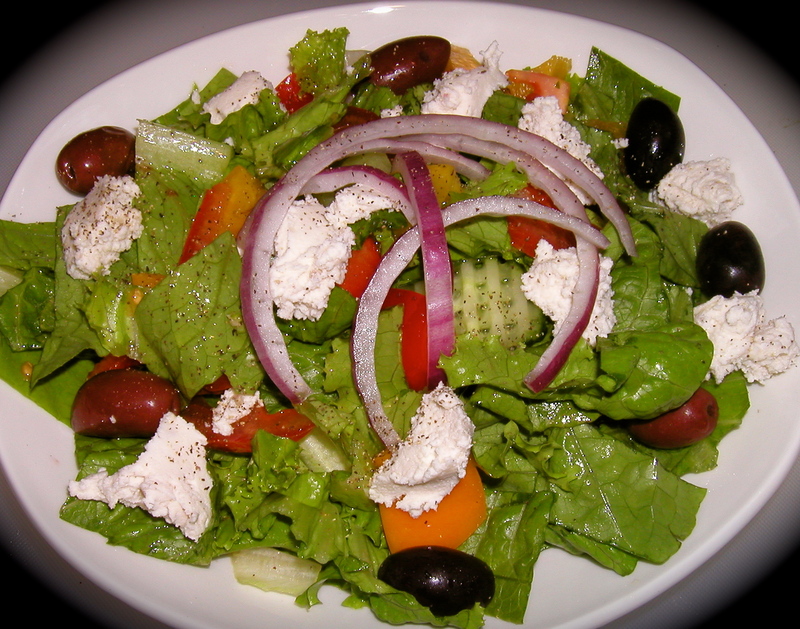 Do you love your salads? You make 2 or 3 regularly. Right?! They work and are ok, but don’t really excite you and your family any longer. 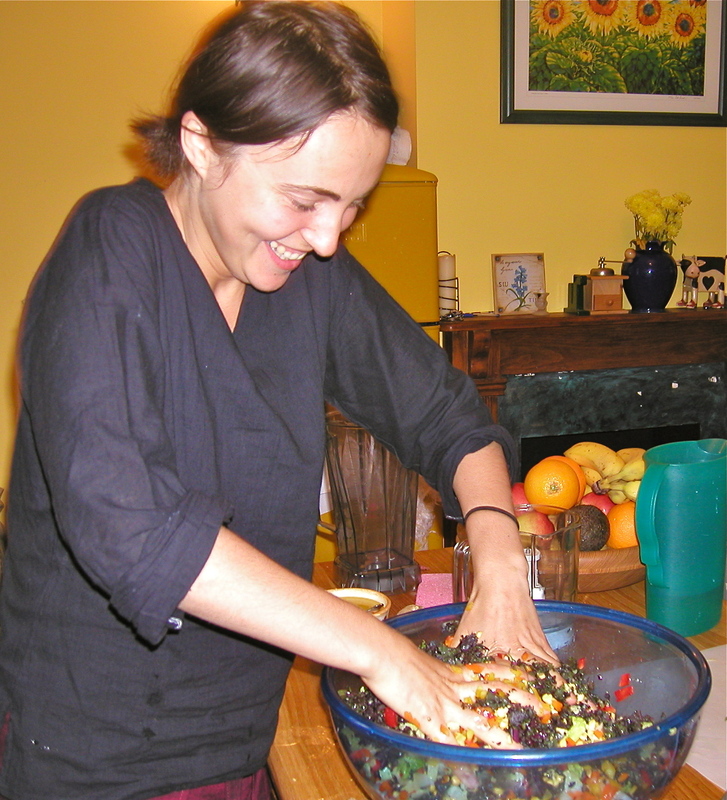 Ever wondered if there is more out there to learn about salads and how to vary them? Is there more than ‘Thousand Islands’ dressing out of a bottle? …and how do I do it? How to make a variety of simple, yet delicious salads for every day and season, as well as for special occasions. How to make delicious dressings with what you’ve got in your fridge, pantry and garden. How to flavor balance your dressings and how to achieve the right texture, color and mouthfeel. 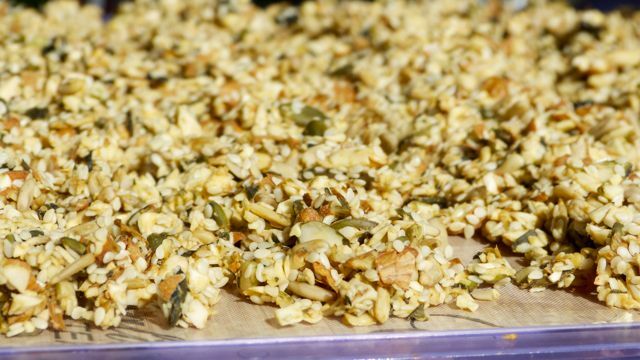 Ideas for dehydrated snacks and other additions to top your salads. Full recipe booklet, flavour balancing chart and samples included. 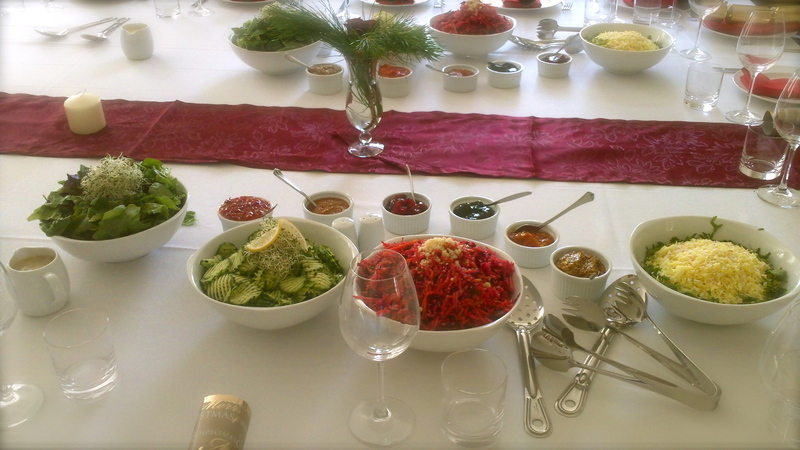 You will learn how to confidently prepare a variety of great salads that will please and entertain both you, your family and friends. Join us for an entertaining and fun-filled evening that will raise your awareness and knowledge level around the preparation of delicious salads and dressings. Booking essential. Space is limited to 20 students. Call René on 027 555 1622 or send us a message via our Contact Page. See you on March 8th! You might have been lucky to see me sampling this salad at Remuera New World this afternoon. If not, here is the recipe. Needless to say that organic is best! New season’s organic carrots are on the shelves now. Go get’em! Add the other ingredients and toss well to combine. Note: Alternatively to using the individual spices Cayenne pepper, cinnamon, cumin and black pepper I like to use 1/2 tsp of a brilliant North African ‘Ras El Hanout’ spice blend by chef Greg Malouf. His blend contains also cardamom seeds, turmeric, coriander and many others. 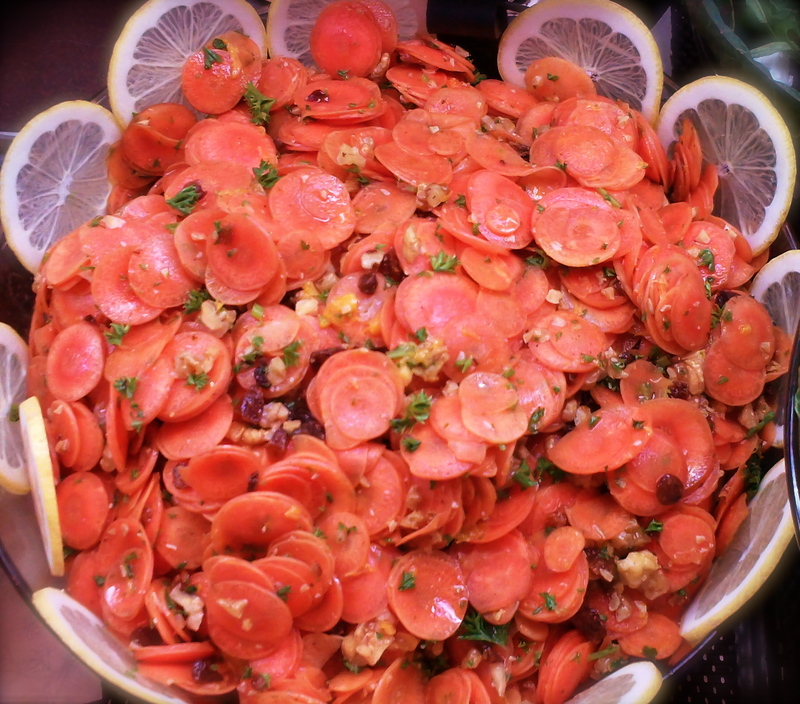 It just gives this salad an even more exotic and rounded flavour. You can buy this specific spice blend form New World Remuera. The salad is available there too – at the deli counter. Yes I will restock tomorrow – beside doing a Sauerkraut food demo! See you in the afternoon! Have fun playing and watch your fingers!